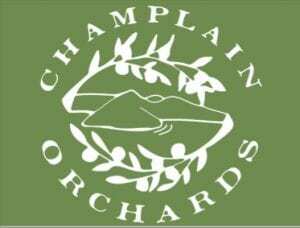 Champlain Orchards is managed through advanced IPM protocol with EcoApple certification. Critical pest and nutrient management decisions must be made daily to ensure health of the crop, trees, and orchard ecosystem. The director is responsible for organization and oversight of pruning, planting, fertilizing, spraying, thinning, mowing, harvesting, and storage of fruit. The director must possess a high level of practical orchard operation experience, entomology & tree fruit knowledge; and must enjoy and be familiar with equipment operation, physical hard work, and working outdoors year-round. They must be self-motivated, enjoy teaching and leading staff, and able to work weekends and nights on occasions. To plan, organize and oversee production, packaging and transportation of the fresh apples and other products produced at the orchard. To ensure that all quality standards are followed, such as: Dept. of Health, GAP and HACCP standards. Oversee the following departments: Fresh Apple Packing, Sweet Cider Production, Shipping & Transportation and Food Safety. Monday, Wednesday-thru Friday 7:00 a.m. – 5:00 p.m.